Easily find the best Material color for your projects. Here is 30 color combination based on material design color palette. 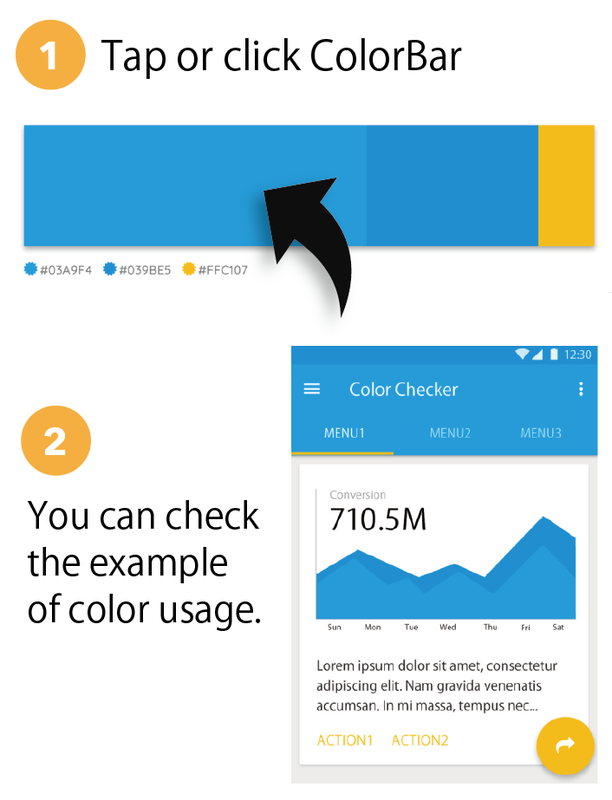 By clicking color sample bar, You can check usage example in material design UI. Each of color combinations consists of following three kinds of colors. For details, see Google Guideline. © Copyright 2018 Saruwaka All rights reserved.